Vassily Mykhaylovych Ivanchuk, also transliterated as Vasyliy or Vasyl (Ukrainian: Василь Михайлович Іванчук; born March 18, 1969), is a Ukrainian chess grandmaster. Ivanchuk has been a leading player in the world since 1988, ranking as high as No. 2 on the official FIDE Elo rating list (July 1991, July 1992, October 2007). Ivanchuk often has erratic results, dropping as low as 30th in July 2009 before returning to the top ten in the next list. Ivanchuk was the 2007-2008 World Blitz Chess champion, and won the Amber blindfold and rapid chess tournament in 1992 and 2010. 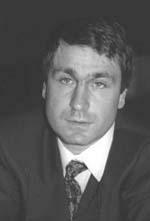 Ivanchuk attained chess world fame at the age of 21 when he won the Linares tournament in 1991. Fourteen players participated, eight of them rated top-ten of the world, including World Chess Champion Garry Kasparov, while the rest were all among the world's top 50 players. Ivanchuk narrowly edged Kasparov by a half-point, defeating Kasparov in their individual game. It was widely believed that Ivanchuk might become World Champion, although he came close in 2002 when he reached the final of the FIDE World Chess Championship 2002. While being consistently among the top 10 from 1988, Mark Crowther's The Week in Chess said that his erratic play was due to "poor temperament." His inability to become World Champion despite his immense talent and longevity among the chess elite has been attributed to his admittedly poor nerves, which were exposed during the high-tension atmosphere of World Championship match-format tournaments, such as in 2002 where he was heavily favored in the FIDE championship final after having defeated defending champion Viswanathan Anand in the semifinals, only to lose to countryman Ruslan Ponomariov in a significant upset, denying him the World Championship. Subsequent match-play tournaments in World Championship cycles saw Ivanchuk consistently underperform; in the FIDE World Chess Championship 2004, Chess World Cup 2005, Chess World Cup 2007, and Chess World Cup 2009, he failed to advance past the third round despite being seeded No. 5, No. 1, No. 1 and No. 6 respectively in those events. Ivanchuk's world championship aspirations were also dampened by the unfortunate title split 1993 to 2006. Due to obligations with FIDE, Ivanchuk and Anand did not participate in the 2002 Dortmund Candidates tournament for the Classical World Chess Championship 2004. He was then narrowly excluded, on the basis of rating, from the rival FIDE World Chess Championship 2005. While he won one of the events of the FIDE Grand Prix 2008-2010, his overall performance was not enough to qualify him for the World Chess Championship 2012 candidates tournament. Ivanchuk played in the 2013 Candidates Tournament, which took place in London, from 15 March to 1 April. He finished seventh, with a score of +3−5=6. In 2011, Ivanchuk and his second wife were mugged by unnamed assailants the day they were set to leave from São Paulo, Brazil on a plane bound for Spain to finish the second half of the Bilbao Grand Slam Masters tournament. The muggers took the couple's money, identification, including passports, and cellular telephones, forcing Ivanchuk's wife to return to Ukraine. Ivanchuk threatened to withdraw from the tournament altogether, but his wife convinced him to continue. He had been leading in the tournament before this event, but did not play as well in the second half of the tournament. In a major upset, the USA defeated Ukraine 3½ to ½ with Ivanchuk losing his game against GM Gata Kamsky, causing Ukraine to fall to fourth and miss out on a medal. Ivanchuk was in such a distraught state after the game that he was seen "kicking a large concrete pillar" with such fury that bystanders were surprised he did not break any toes. When the officials tried to get Ivanchuk to participate in the doping control, he refused and stormed out. Missing the test is equivalent to being tested positive under the rules and could have resulted in a 2-year ban from FIDE events. Under FIDE rules, a player found guilty of doping charges automatically forfeits all his or her games in the event concerned. This had previously happened to two amateur players who refused doping tests in the 2004 Chess Olympiad in Majorca. There was speculation that if this rule were applied to Ivanchuk, it would result in the USA's bronze medal being stripped and awarded to Hungary due to a change in tie-breaks. 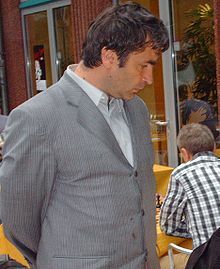 Ivanchuk was eventually found innocent of the charges, on the basis that he was not informed of the need for the doping test beforehand by a Doping Control Officer, in accordance with correct FIDE procedure, and that in his distraught frame of mind, he had not fully understood the arbiter's request.